What’s far more on your mind that this pesky little thing coming in is that your team just threw an interception on their side of the field. So now is not the time for you to worry about this. 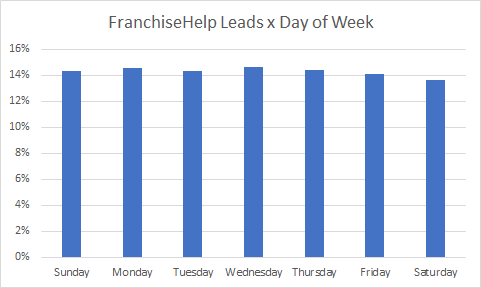 Here’s the issue, when you look at how franchise leads are generated across the week, you’ll see that an astounding 28% of leads come in over the weekend. Now if it was the case that you could successfully follow-up with the leads on Monday or Tuesday, then this wouldn’t be a problem, however as we’ve written about time and time again, it’s vital to make successful contact with your leads as quickly as possible to give yourself the best shot at a sale. Call my franchise leads at 11 PM? What? But we’re not here to talk about problems, we’re here to speak about solutions! Ultimately, most obvious hypothetical solution to this problem turns out to be infeasible: don’t generate leads on the weekend! It’s amazing how many times this has come up in conversations over the years. 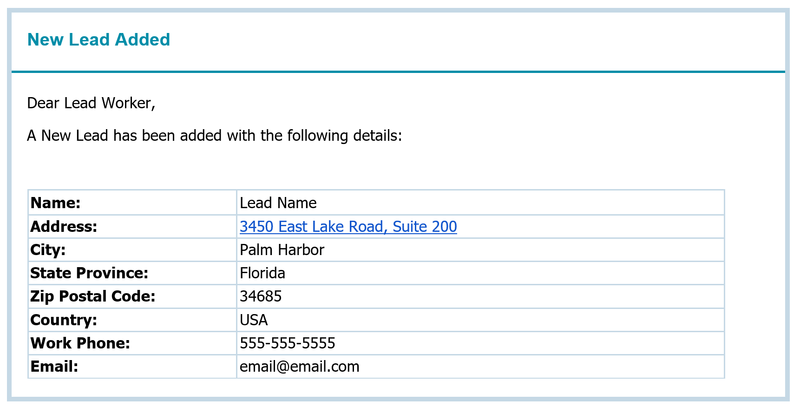 While it’s certainly well-intentioned, the fact of the matter is that the leads decide when they want to submit their contact information, not franchises and not lead generators. 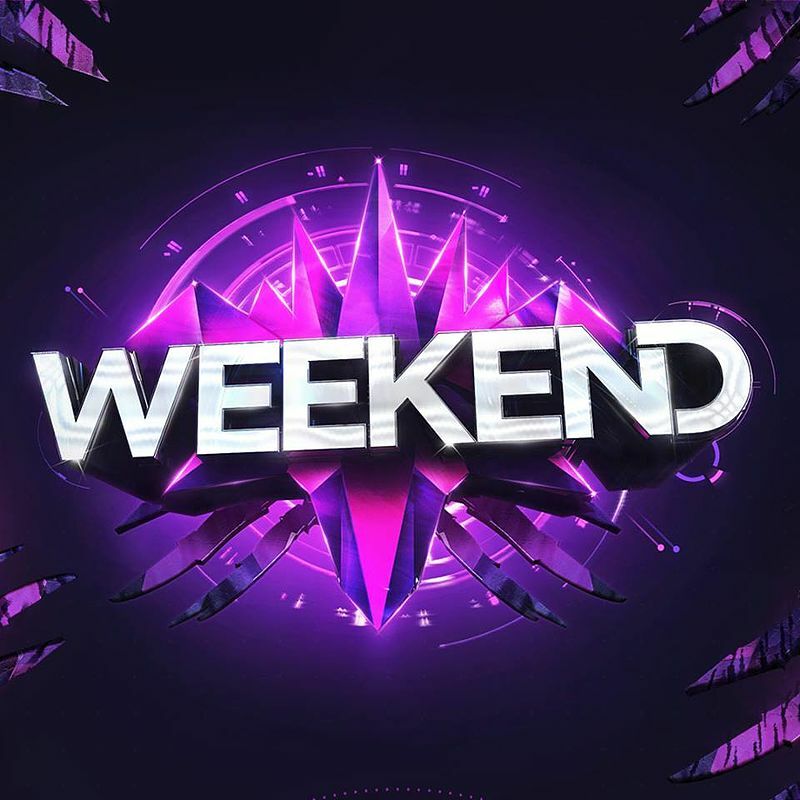 So we’re left with the situation where leads will be coming in over the weekends, you need to get a hold of them as quickly as possible, and football is being played every weekend. Why does your entire sales team work 9-5 M-F? You should consider staggering the schedule, so you have coverage for the leads that come in over the weekend. This is exactly what our sister company FranFunnel does. You can find ways to communicate with leads in automated and customized fashions while you’re still watching the game. Many different companies offer services where they will handle initial outreach, while you only follow-up with the leads that are qualified. No matter what you choose, it’s important to attack this problem. Simply letting the leads build up over the course of the weekend to be called on Monday is no longer an effective strategy. If you’re looking to accelerate your development agenda this year, then let us know here at FranchiseHelp and we can chat about your lead generation program. Eli Robinson is the COO of Metric Collective, FranchiseHelp’s parent company. He works leads on the weekend unless Tennessee is playing. Usually, when I’m writing on the topic of turning visitors into leads, I share tips and tricks for how we think about raising conversion rate i.e. getting more people who visit your site to fill out a form.